1. Their Fruit is evident & authentic. The fruit of the spirit is love, joy, peace, patience, kindness, goodness, faithfulness, gentleness and self-control. (Galatians 5:22-23). This fruit should not only be evident but proven to be authentic. A few years ago, the Lord spoke to me about this and said, "Even fake fruit looks delicious from afar." Some fruit is plastic or styrofoam. This is why it is important to establish a quality relationship so that you are able to adequately investigate the fruit. Allow for some time and testing to happen before you entrust them to be a voice of counsel in your life. Scripture tells us that leaders operating with His name must "live above reproach" (1 Timothy 3:2). Meaning, they take any measures necessary to guard and protect themselves, their spouses and families and the hearts of their constituents. They live a life of honor and put healthy boundaries in place to avoid compromising situations or conduct themselves in ways that could even be perceived as questionable. 2. They're honest about their struggles & weaknesses. This takes courage and vulnerability. Kingdom Leaders are less concerned about the perception of perfection but know that Transparency Transforms. By being open about their struggles and weaknesses, it increases intimacy through relatability. Who wants to follow a leader that falsely portrays they have it all together, lives in fear of appearing weak or perfectly polished and put together? This is real life and at times, it's less than glamorous. Kingdom Leaders aren't afraid to share the less-than-perfect stuff because they're confident in who they are in Christ and are committed to the sanctification process. As The great Apostle Paul says "My grace is sufficient for you, for my power is made perfect in weakness." Therefore I will boast all the more gladly about my weaknesses, so that Christ's power may rest on me." (2 Corinthians 12:9). Steven Furtick once said the most powerful way to connect and minister is to simply say, "Me too!" 3. They model a life with healthy balance. Kingdom Leaders model and maintain boundaries and don't buy into the lie they always have to be "on call" nor do they expect you to always be "on call." As you witness their lives, you will notice Kingdom Leaders as people who are devoted to intimate time with God, prioritize family, strive for rest (Hebrews 4:11), and know that not everything that is emergent is an emergency. Not only do they live this way, they encourage you to do the same and do not encroach on your time simply because it's convenient or urgent for them. 4. They take interest in your personal, professional and spiritual life. Kingdom Leaders care more about YOU and not just about what you DO. They invest time with you and express interest in all areas of your life. They show genuine care and compassion if there are challenges in your family, difficulty in your job, issues with your health, and areas in need of spiritual strengthening. They are genuinely concerned with your overall health and recognize that you are valuable and worth investing in. 5. They honor their leaders. Even great leaders need great leaders. (Examples: Steven Furtick is pastored by Craig Groeschell, Christine Caine by Joyce Meyer, Havilah Cunnington by Lisa Bevere, Kris Vallotton by Bill Johnson). A Kingdom Leader speaks well of their leadership and shows them honor, even if they don't fully understand or agree. They can speak of challenges in a way that is encouraging and helpful and are willing to disclose not just what they're GOING through, but what they're GROWING through with their leadership. They're glad to talk about what they've learned in their journey through correction and submission recognizing the Biblical principle that we all reap what we sow (Galatians 6:7). 6. Kingdom Leaders are learners. Kingdom Leaders are always on the journey of growth and improvement. They take time to seek out wisdom and counsel, mentorship, and guidance and to enhance their interpersonal communication and leadership skills. They will have a library of resources to recommend such as books, podcasts, classes, etc. They don't claim to know everything about everything but they position themselves to be a resource to The Source. 7. They foster environments where failure is viewed as fertilization. A Kingdom Leader knows that failure is inevitable and it's a vital part of the growth process. They do not address failure with condemnation or shame, nor do they exclude or excommunicate. Instead, they journey through failures showing grace (love and forgiveness as well as empowerment and encouragement). They openly take responsibility for their part in failure and do not use blame and shame tactics. They partner with Holy Spirit and echo His counsel as Advocate and call you UP (into your kingdom identity) and not call you OUT. 8. They give space for you to express your ideas, concerns and solutions. Kingdom Leaders are not bullies, managers or dictators. They create space for you to bring your thoughts and ideas to the table. Though your ideas may not be aligned with the overall vision, the timing may be off or it's just not a probable solution, they show gratitude for your willingness to come forth with your input. 9. They champion your gifts and talents & challenge your weaknesses. Kingdom Leaders know the great responsibility they have to coach you into your greatness not simply exploit or abuse your gifts solely for their benefit. They aim to position you for success. They want you to be in positions where you will thrive and grow. Kingdom Leaders will also challenge you with truth and love and will often push you beyond your comfort zone and be there to cheer you along in your growth process. They will challenge your limiting beliefs, deconstruct your fears, stretch your capacity, and cause you to dig deep even when it's uncomfortable. They will always draw your attention heavenward and inward before passing judgment, taking sides, or coming to conclusions without due diligence. 10. They celebrate your God-given uniqueness. Kingdom Leaders understand you're an intentionally designed Child of God. They aim to see you how God sees you and embrace how He's made you. They will not criticize what they don't understand, try to "reel you in" (as if you're a fish), or attempt to control you and make you conform to the image of who THEY think you should be. They partner with God and help you navigate your unique qualities. They understand that you can still have unity and be individually unique. 11. They understand healthy confrontation. Kingdom Leaders don't shy away from confronting things head on to avoid confusion, misinterpretation, accusation or assumption. They are comfortable having a conversation without preconceived notions to truly seek to understand before being understood. Kingdom Leaders have a great responsibility to care for a wide range of people and there undoubtedly will be times when correction is needed. They simply approach each situation with Kingdom solutions as their goal. They speak with directness, not ambiguity, with sternness wrapped in love. They confront quickly so as not to allow room for offense or defensiveness to harbor. They don't passively shrink back, stone wall or give the silent treatment. They address what needs to be addressed and do so with an open heart knowing they may not have all the information and that their perception may be in error. 12. They don't mistake ministry for manipulation. Kingdom Leaders who are called by God understand that creating a safe place to be fully accepted and able to express who you are doesn't mean you're always going to agree. The Lord is seeing a large movement toward family-like discipleship and promoting covenant family as a means to disciple. While this ideology isn't necessarily unbiblical (we see the Apostle Paul speaking of Timothy as his spiritual son), there is a fine line of caution to address. Kingdom Leaders must be careful to check their heart. If claiming you have tons of "Spiritual sons and daughters" brings you a sense of pride, this could border on sin. Furthermore, leaders who use the covenant family concept to control or manipulate by asserting authority for personal agenda are not operating with Kingdom Leadership. Kingdom Leaders aren't looking to prop themselves up on pedestals of people's hearts which makes them an idol or striving for authority to satisfy one's need for significance. Instead, Kingdom Leaders know that CHRIST is the head of The Church and that above ALL, God is our Father. What qualities do you value most in Kingdom leadership? The first breakdown results from a lack of trust. Trust is not quantitative. In other words, it cannot be measured on a scale or with a numerical value. Trust is qualitative; subjective and often tethered with expectation and experience. When our expectations aren't met, trust begins to wane. When experience shows a pattern, trust is built or broken. Once trust is broken, it gives way for the other elements to falter. As a leader, you're a vision caster. Part of your role is to help your team understand the culture, vision, mission and plan of the organization. Take caution not to over-sell the vision without also revealing the detailed plan of action that makes big ideas into reality. I've watched well-meaning visionaries prematurely share the vision without the plan attached. 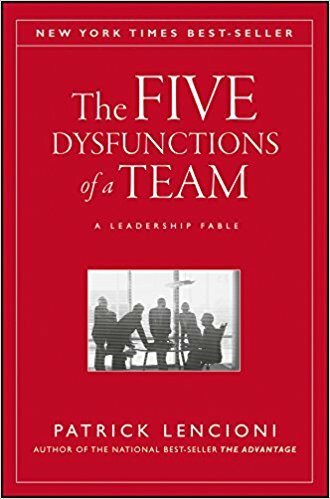 This raises questions in your team and when they don't see the plans actualize over time, they begin to doubt your leadership and credibility of the organization they may eventually disassociate themselves from the organization all together. You can't live in a blueprint. It's one thing to have a model of a castle, but you can't live in it. One quick way to lose the trust of your team is to make promises you can't keep. People are generally trusting people. Especially toward leaders who are people in positions of influence. Now sometimes we inadvertently fail to deliver on our intentions. It happens because change happens rapidly and there are often a lot of factors you're privy to that your team is not. However, if you continually demonstrate a pattern of broken promises, your team will eventually see your promises as propaganda and not trust a word you say. If there are changes to the plan or program, simply address it with your team and acknowledge the factors beyond their sight and ensure them that you are committed to growth and adjustment for the overall good of the team and organization. As a leader, you have to be open to feedback. As mega entrepreneur and business coach, Michael Hyatt would say, "Even negative feedback is positive." Why? Because with the presentation of negative feedback comes a proposal for an opportunity for improvement. Don't you REALLY want to know how your team is feeling or would you rather run the risk of losing top talent because you're fostering an environment where their honest feedback is scorned or dismissed? Don't squash their comments or label them "negative" just because it challenges you or the system. A secure leader welcomes feedback and strives to create a culture where it's welcomed and appreciated. Your team may see flaws in the systems that you may not see. You hired them as a partner to help steer the organization forward to success, didn't you? Learn to trust the team you put in place to help you. Their feedback is gold! I've seen this happen far too often and this is a sure-shot way of breaking trust. If you're a leader who holds others accountable for excellence and would expect them to take ownership and responsibility...shouldn't you? As a leader, you're bound to make mistakes. Maybe you rolled out a program and later discovered many flaws. Or maybe you failed to respond supportively in a timely manner in which you would expect them to. Perhaps you didn't plan ahead to posture someone for success and their failure was a result of your lack of planning, training or management...Just admit it. Don't make excuses. You wouldn't want your team to do that, would you? Just say, "Hey, I realize I made a mistake. I could have done that differently. I apologize that my mistake caused you confusion and frustration. I learned that going forward, I can make these improvements..." You lead by example. When you own your mistakes, you're teaching your team it's okay to fail forward so long as we are all committed to growth. Your team is looking to you to set them up for success. If you ask them to work on a special project, take on a new role, or roll out a new program, be sure to analyze the best way to set the person or the team up to win. That means being detailed and diligent in the delivery. Test and retest, get things organized and clear before roll-out. My best advice into involve a few others to look through the system or the plan and ask for their honest feedback, to identify holes and gaps and analytically ask questions and present possible problems that might present themselves. Be proactive. Catch the problems before they present themselves. Your team will appreciate a clearly laid out plan with systems and training in place to assist them in their new roles and responsibilities. Clarity is confidence. If you lead with systems first and people last, you devalue the precious humanity of your team. Even with a technology-focused and system reliant organization, don't lose sight of the value of your people. People are not meant to be treated like robots. Each human is uniquely created and equipped with background, experience, gifts and talents that systems don't provide. We have to honor God and His creations by placing high value on the people you lead. When meetings become all about brass tacks and expectations without any positive feedback, honor for creativity or innovation, gratitude for work well done, your team will be deprived of the need for honor, recognition and reward. After awhile, they'll begin to look elsewhere and seek an organization where they will feel appreciated. Show some love and watch how your team flourishes! What lessons have you learned or endured on the topic of trust and building teams? It's not just about serving and worshipping on Sundays...it's a 24/7, 365 mandate! Honor God through your work, it's is a form of worship! Cursing your work is dishonoring your assignment. Operate with excellence and integrity, innovation and creativity! You are an ambassador of Christ! You've been created in the likeness of His image, equipped and empowered with gifts to share. This glorifies your Maker. (Matthew 5:13) Salt purifies and preserves. Let the light of the Lord illuminate the spaces you enter. Even if it seems you're in a "dark" place, when you allow God to shine through you, darkness flees! It is illegal (against natural and spiritual law) for darkness to snuff out light. Don't limit the work Jesus wants to do through you by checking Him at the door. Invite Him into your workplace! Watch the atmosphere transform around you. Pray over your office, leadership, coworkers, clients and customers. Stand in intercession and pray blessings over those you work with...that's right...even those that are hard to get along with! Thank God for the place of influence you've been entrusted with. You've been chosen, commissioned and commanded by God. For what? To love God and love others. This may mean you don't participate in the same behaviors as those around you: complaining gossiping, slander, malice, undercutting, or stealing. Don't conform to those around you to fit in. Peer pressure is prevalent in the workplace. Watch your words and check your motives. Learn to embrace your identity in Christ. Arise and take your place. As an appointed one of the Most High God, speak words of life and love; edifying, encouraging and uplifting those around you. Want increase, favor, and promotion? Understand the power of reaping and sowing. Even when it seems hard to understand what's happening around you. The politics and policies may not make sense in the natural. Ask God to reveal what's happening beyond the natural and understand that because you have the same power that raised Jesus Christ from the dead living and dwelling within you (Romans 8:11), you have the empowerment (authority) to transform the world around you. When you start approaching issues from a Kingdom perspective, expect to see things begin the shift in your favor in the natural. Be encouraged today. You matter. You make a difference! I can't tell you how many times I've had coworkers reach out to me to share their struggles, fears, challenges, and hardships. It's an honor to be a Marketplace Minister. In our day and age, often times pastors aren't available for midday counsel...but YOU are! I assure you, it will bless the heart of our Father and those around you knowing that you are a person of faith, strong and secure, unwavering in trials and approachable for prayer! Do you have a testimony to share? Tell me about your Marketplace Ministry experience in the comments below!